In 1967, Italian actor Gianni Garko featured in the Alberto Cardone directed spaghetti western 1,000 Dollars on the Black as Sartana, an eccentric villain donned in Union army garb with more than a few psychotic tendencies. Customary with Italian exports shopped around the worldwide market were title changes and 1,000 Dollars on the Black found itself labeled Blood at Sundown in some territories and Sartana in others. After the German box office success under the Sartana title card, Italian film producer Aldo Addobbati set up a co-production with German film producer Theo Maria Werner and suggested to Garko that he play a heroic variation on the character introduced in 1,000 Dollars on the Black. Having rejected numerous scripts involving vengeance, a then tiresome theme for Garko, the actor suggested redesigning the Union army dressed ruffian into a clean cut well-dressed and mannered Count Dracula-like magician with an affinity for card games and tricking rivaling gangsters and corrupt bankers into fighting one another. 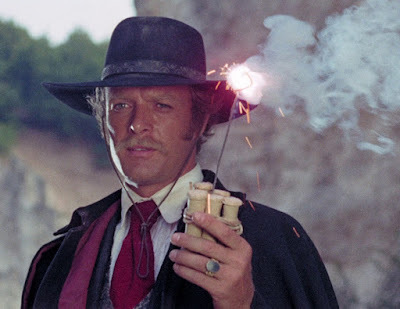 A quick witted and crafty assassin with an even quicker draw of his trusty derringer, Garko and director/screenwriter Gianfranco Parolini adorned their hero with an assortment of nifty gadgets ala James Bond and a droll sense of humor ala Clint Eastwood’s Man with No Name trilogy. 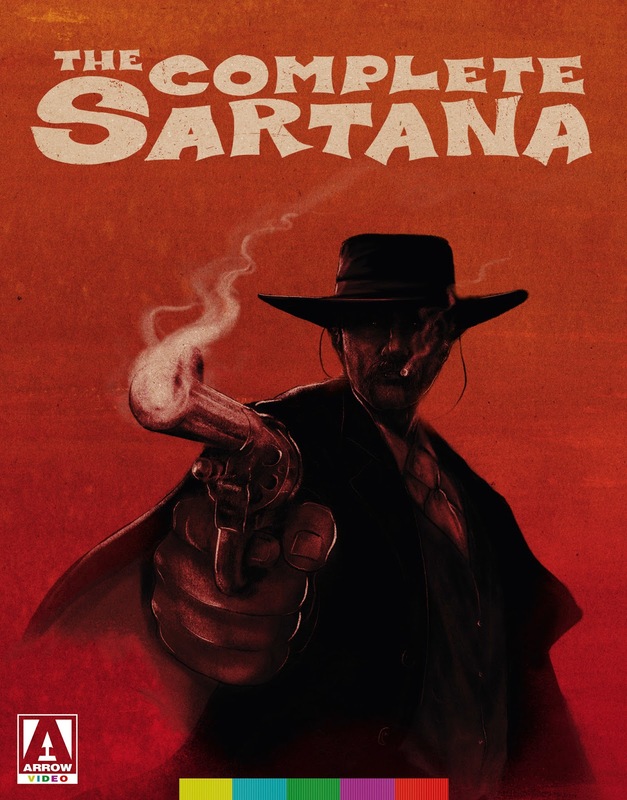 Soon after, the Sartana film series was born and managed to spawn four official sequels and at least eleven unofficial tie-ins including one featuring Garko playing a character named Santana. After Parolini’s first Sartana entry titled If You Meet Sartana…Pray for Your Death debuted in theaters in 1968, it was an instant success that catapulted the character and subsequent films into new hands after famed producer Alberto Grimaldi reassigned the director to the soon-to-be Sabata spaghetti western film series. 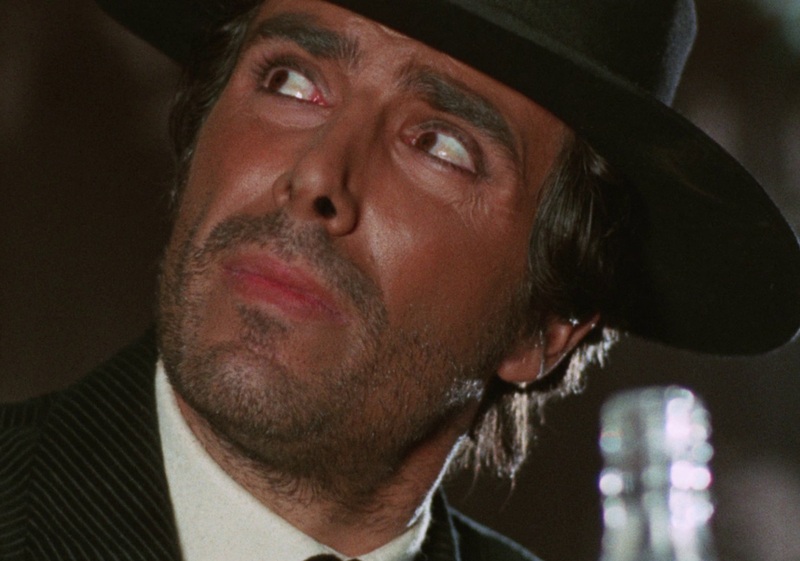 For the remaining four Sartana pictures, Giuliano Carnimeo (Exterminators of the Year 3000 and Ratman) took over production and saw the character and Garko through three more thrilling battles with gangsters and skilled assassins before being recast in the final entry I Am Sartana…Trade Your Guns for a Coffin with George Hilton. Compiled together for the first time by Arrow Video in a new blu-ray boxed set are those five official entries into The Complete Sartana film series and the Movie Sleuth takes a good look at this iconic and beloved fast hand of the spaghetti westerns. Opening initially as an ensemble spaghetti western heist film with three disparate plot threads more convoluted with more double-crossings than a typical 1940s film noir, the first entry in the Sartana film series introduces the beloved antihero as a kind of mysterious stranger who gradually makes his omnipresence known in the film as the rival factions find themselves falling into the palm of the title character’s hands. Unlike the subsequent pictures under director Carnimeo’s hands, the first film by Parolini is judicious and methodical in how it reveals just how dangerous and cunning a man Sartana really is and how much control over the situation he actually has. Where audiences soon became accustomed to the bag of tricks and upper hands the sometimes-otherworldly minion of death in the Old West often had, with If You Meet Sartana…Pray for Your Death audiences weren’t sure just what Sartana was up to or who exactly he was. The film sports an eclectic cast including but not limited to Klaus Kinski, William Berger and A Pistol for Ringo heavy Fernando Sancho more or less playing the same role as a greasy and disheveled villain, but anchoring the whole endeavor is Gianni Garko who moves freely like an undetectable ghost freely picking characters off one by one. 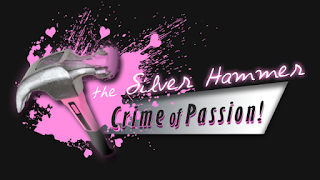 Despite the convoluted plot and decidedly rustier production values when compared to the panoramic and often hyperkinetic vistas and stunts of the subsequent Sartana efforts, what becomes clear to the viewer immediately is how each of the labyrinthine plots are slowly brought together by the title character’s trickery and bloodshed. If you’re as lost as most people are trying to pick apart the plotline and double-crossings, it’s a good bet by the end of it all our Sartana will have sorted everything out. 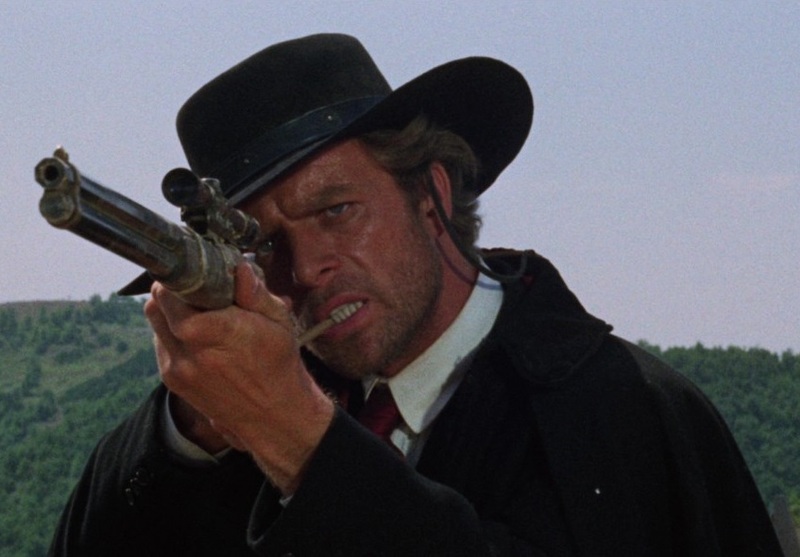 From a purely technical end, If You Meet Sartana…Pray for Your Death composed in standard 1.85:1 widescreen by cinematographer Sandro Mancori (Sabata, Requiescant and Django Strikes Again) and it’s a handsomely photographed piece largely filmed in medium close ups with frequent use of the zoom lens. The score by Salvatore Giuliano composer Piero Piccioni falls somewhere between a sweeping spaghetti western and that of a typical giallo thriller with the indefatigable Sartana skulking about like a well-dressed grim reaper. As with the subsequent Carmineo directed Sartana films, each one save for the last three switched cinematographers and composers, giving viewers a slight variation on the character and the film of the film he inhabits. That said, as a piece of storytelling the first Sartana debatably pales in comparison to what would follow after once Carmineo took over the directing reigns while Parolini soon became inundated with the Sabata film series. Sartana was off to a good start with the first film which functioned as both a spaghetti western and a bit of an origins story. After spending the feature length running time with the soon-to-be iconic supernatural near-superhuman assassin, audiences had a pretty good idea of who the titular antihero was and it was soon time to turn him all but completely loose in the lawless and violent open west. For the second as well as my personal favorite entry of the Sartana film series, I Am Sartana, Your Angel of Death finds the mercurial anti-hero framed for a bank robbery and series of murders he didn’t commit. With a newly minted price hanging over his head, Sartana (Gianni Garko) enlists the help of his scruffy but loyal longtime friend Buddy Ben (Frank Wolff) in an effort to track down those who behind the elaborate hoax while fending off bounty hunters and unscrupulous casino owners. Functioning somewhat as a Dickensian detective story, the second installment in the series is largely a springboard for the ghostly crossbreed of James Bond and Count Dracula to unveil his ingenious traps, inspired gadgetry and innate ability behind the barrel of a gun. Unlike the predecessor launching the series, the first of four sequels directed by Carmineo manages to flesh out the character as less of an otherworldly entity than a sharp minded magician several steps ahead of his adversaries. Shooting from here on in 2.35:1 panoramic widescreen with far more dynamic camerawork reminiscent of Japanese auteur Kinji Fukusaku, I Am Sartana, Your Angel of Death derives much of its excitement from playing on the audience’s familiarity with the Sartana character and seeing what kinds of cool trickery and gadgets he’ll unleash on his unsuspecting prey. By now we have a rough idea of who this character is, played naturally with gusto by Garko, and the joy comes from seeing him deceive his enemies into fighting one another. While still mysterious, you can’t help but rally behind the mythic figure seemingly impervious to bullets and/or being killed. Besides having a Sherlock Holmes/Watson dynamic in the form of Buddy Ben, what sets this particular Sartana apart from the rest aside from the non-Garko starring entry is the presence of an adversary equal to our titular antihero. Playing a different character than the one who appeared in the first film, veteran Werner Herzog actor Klaus Kinski features as Hot Dead, a bounty hunter eager to cash in on bringing Sartana down who may as well be the inverse of his target. Dressed in white with an equally strong hand at cards and gambling, he’s at once Sartana’s polar opposite and briefly his most formidable adversary. 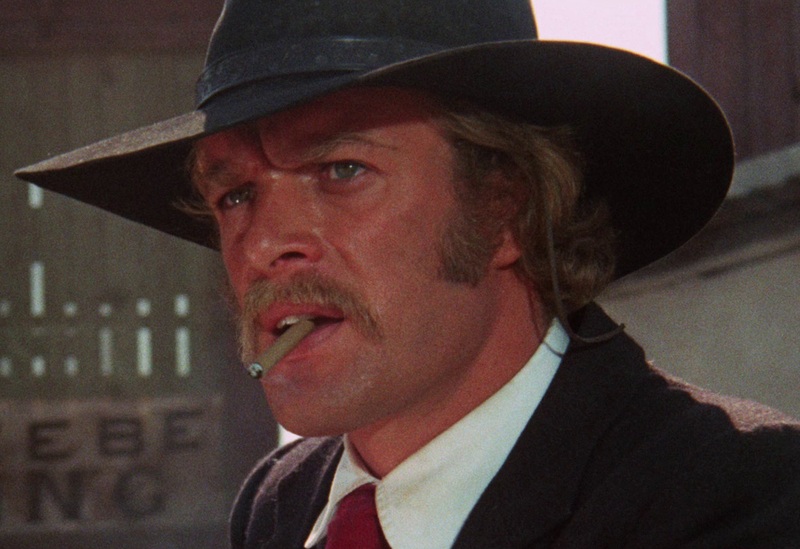 While this thread was only touched on once more in the non-Garko film, it quickly established the idea that the dusty western worlds these films take place in could potentially inhabit characters as dangerous if not more than Sartana himself. Moreover, Kinski’s part while small in the grand scheme of things proved to be a character I was hoping to see again in the subsequent Sartana entries. In the third entry after a bloody massacre which claimed the life of his friend Joe Benson, Sartana descends upon the small town of Indian Creek in search of the culprits. He soon discovers a violent feud is brewing between unscrupulous banker named Ronald Hoffman (Antonio Vilar) and Chinese casino owner Lee Tse Tung (George Wang of Super Fly T.N.T.) over a potential gold mine. Loaded with the usual double crossings, weaponized gadgetry, debonair cool and the title character’s superhuman abilities behind the barrel of a gun, Have a Good Funeral My Friend…Sartana Will Pay begins to show director Carnimeo’s gradual shift away from the series’ ghostlier haunted roots and closer to that of an over the top 80s action film with some of the most ridiculous Asian stereotypes to grace the spaghetti western film yet. While boasting a great score by Bruno Nicolai and handsomely lensed by Stelvio Massi, Have a Good Funeral My Friend…Sartana Will Pay finds the mythic antihero’s arsenal of gadgetry, weaponry and sleight of hand trickery becoming more comically absurd and outlandish with each subsequent piece. As for the aforementioned Chinese casino owner, while not quite as bad as the yellowface of Mickey Rooney’s Mr. Yunioshi, the character comes pretty close in his own right. With his casino adorned with hanging lanterns, a hand gong and a kung-fu fight with Sartana including but not limited to a sharp katana blade, this is about as cartoonish of an Asian caricature in film as you’re likely to ever see in a non-American piece. That said, Have a Good Funeral My Friend…Sartana Will Pay does offer the character and fans some new and welcome additions such as a loose alliance with beautiful femme fatale heiress Abigail Benson (Daniela Giordano) and a new makeover a clean shaven face save for a graying moustache and sideburns. There’s also ample room not just for Sartana to engage in hand-to-hand combat with choreographed fights, but the other surrounding characters also can’t help but get into brawls. Moreover, the third entry in the continuing Sartana series for once shows the stoic antihero at his most…ebullient? If there was any semblance of realism left in the Sartana film series or the character, the fourth entry Light the Fuse…Sartana is Coming tosses everything out the window and makes a gleeful, almost goofy swan dive into fantasy. At first it seems like for once the invincible Sartana sets himself up for a beating Rambo: First Blood Part II style as he submits to imprisonment by way of a corrupt sheriff in Sandy Creek. Locked in a hole amid other starving prisoners, Sartana is kicked and punched about before being urinated on when he asks for water. In one scene, a fellow inmate being grilled for information has a prison guard casually pour burning acid onto him, with his clothes incinerating and skin burning up. 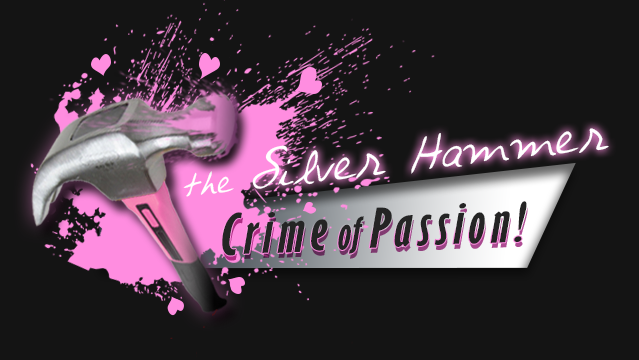 Initially we’re led to believe our antihero has finally fallen hard and has an uphill battle ahead of him in digging himself out. Even the level of violence in these opening scenes seem somewhat grislier than what dedicated fans of the series are used to. But as with previous Sartana pictures where he was imprisoned before, he escapes and decimates his adversaries with the slightest of effort almost immediately and it doesn’t stop there as the wealth of gadgetry in his arsenal reaches the pinnacle of comic book absurdity. Plot and stylistic flourishes aside (all of which are top notch by the way, including some lovely fish-eyed lensed camerawork), what one comes away with this time are some of the most laughably ridiculous weapons the mythic Sartana has ever unleashed on his unsuspecting victims. While booby trapped wind up robots with a lighter or a bomb loaded up tightrope tread a fine line between fantasy and reality, the sight of Sartana mowing down an army with a church organ whose pipes rotate to become cannons and chain guns can’t help but elicit a little laughter and gobsmacked knee slapping from the viewer. It’s fun to watch if only because any reservations the filmmakers and Gianno Garko had about the character’s otherworldly abilities have been completely ignored this time around. The final (or third, depending on the territory) Sartana film, though directed by the same man behind the last three, right off the bat begins with the most glaring diversion in the series yet: Gianni Garko has been replaced by George Hilton! The introduction begins as usual until the camera closes in on Sartana and the complete change in the leading actor is only the first of many jarring alterations that unfold. Much like the first half of The Return of Ringo, Sartana changes his outfit to that of a Mexican and he carries with him a trusty loaf of bread with a gun inside. There’s even a scene later on in the film of our beloved Sartana…taking a bath! Reportedly Garko was indisposed with another film production and the producers didn’t want to wait so they ultimately went with Hilton, who himself thought he wasn’t right for the part. Upon initial viewing, Hilton’s appearance in the costume of a character I had grown used to completely took me out of the film and settling back into the world of this particular Sartana was a gradual process. In any event, jarring as the appearances and character diversions may be, as it stands this still proved to be a largely entertaining western with the usual absurdities associated with the other films in the series and it even managed to sneak in a Sabata crossover with Charles Southwood in the role of Sartana’s most formidable and cunning adversary yet. The title Sartana’s Here…Trade Your Pistol for a Coffin in and of itself is a bit ironic in that Sartana is more-or-less not here or not in the sense we’re familiar with. 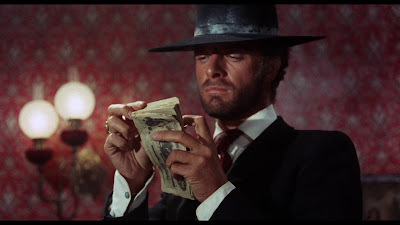 As with the other Carnimeo directed efforts, it’s handsomely photographed in widescreen with Have a Good Funeral, My Friend…Sartana Will Pay cinematographer Stelvio Massi returning for round two. We’re also treated to a cavalcade of stereotypical Mexican Bandidos ready to drop dead at the bullet of Sartana’s gun and even a scheming femme fatale (giallo regular Erika Blanc) factors into the proceedings. Still, not everyone will take so easily to this outlier in the series which, while officially in the canon plays like an unofficial spinoff due to both the change in actor and the changes in character. It’s also, due to the varying release schedules, unclear whether or not this is a final or a middle chapter in the series. For my money it’s the weakest entry for having gotten so far off track from how the series began and continued with Garko properly seated in Sartana’s shoes and like the aforementioned The Return of Ringo it’s a difficult, sometimes weird pill to swallow. That said, open minded fans of the spaghetti western may still get some enjoyment out of it.